Pirate attacks on vessels have been a worldwide concern lately in the maritime industry. The attacks had not only affected the flow of global economy, but also the maritime business itself and the effect it had on ship’s crew. The Long-Range Acoustic Device (LRAD). This is a non-lethal sonic weapon that uses high-pitched noise which is beyond the tolerance level of the average human. Anti-Boarding Device (ABD). It uses canisters with sharp razor wires which prevent pirates from boarding the ship as this acts like a barrier. The Anti-Piracy Fire Hoses. Anti-piracy fire hoses are high pressure water hoses often used to fight pirates that are trying to board ships. Other fire hoses are semi-automatic and with remote control, making it more powerful and effective. The Liquid Deterrent System or LDS. Also called the foul-smelling liquid, this anti-piracy technology showers a slick, green liquid that stinks and burns. The effect would make any pirates go back to the water. 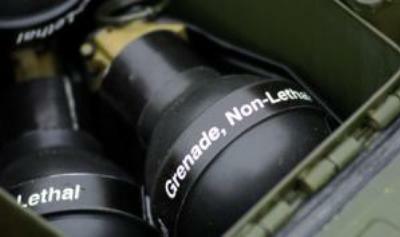 Rubber Ball Grenades. It is a non-lethal weapon that releases rubber bullets that makes a strong but non-penetrating blows to the body. The Anti-Piracy Laser Device. The laser beam provides a visual warning sign to pirates, which can be used both day and night. The light distracts the pirates, making it hard for them to aim their weapons. Electric Fence System. This surrounds the ship and prevents pirates from climbing the ship. It is a collapsible electrical fencing with high voltage that can be folded and stored when not in use. The Mobility Denial System (MBS). MBS,also called the slippery foam or oil-slick-in-a-can, has ingredients that makes the deck or sides extremely slippery thus making it hard for pirates to climb and walk. Anti-Piracy Curtain. A unique method of curtains of high-pressure fire hoses that dangle both port and starboard. The force of a 0.2 Mega Pascal sea water that passes through causes it to move in any direction and hurts anyone in its path. Boat Traps. 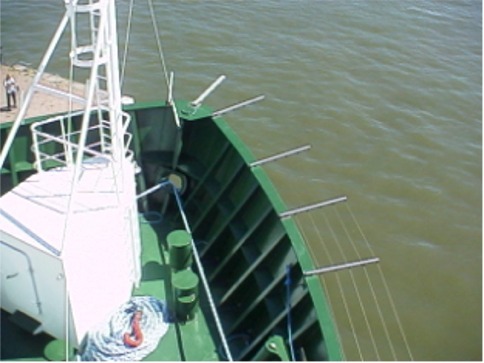 A ballistic type of net launched to stop pirates’ boats from coming any closer to the vessel. The net traps the propellers that prevents it from moving forward.